90" x 18" x 192", wood, lacquer, 2013. It is believed that luck entered the English language as a gambling term, used to describe both desired and undesired outcomes of an unsettled matter. Today, the word’s connotation includes the allotment of luck: to have it, to lose it, and to find ourselves swayed by its happenstance. 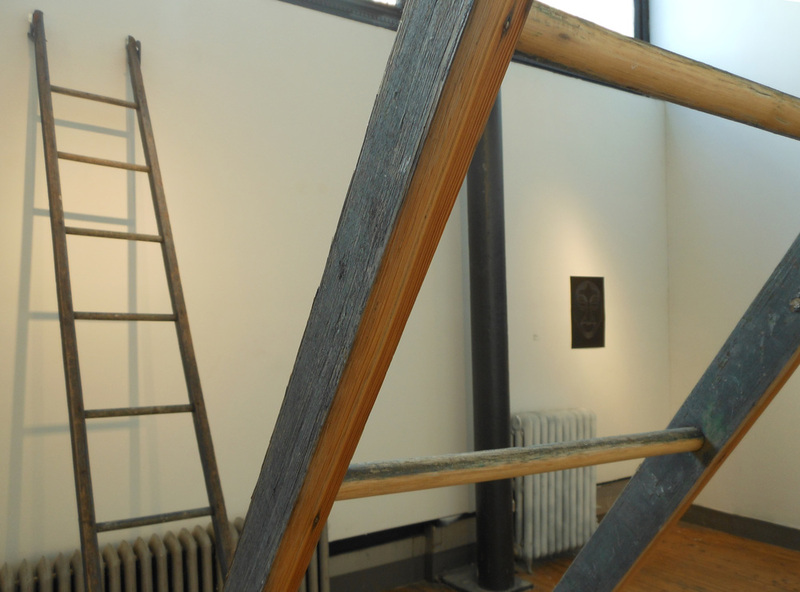 In Bohr's Luck, when confronted with the underside of a ladder, the audience has a moment to weigh the belief or suspension of belief in order to continue on their path.